In Hollywood outspoken conservative actors are a rare breed, and unless you’re an iconic legendary actor and directors like a Clint Eastwood, or an acclaimed Academy Award winner like a Jon Voight, there’s likelihood that the rabid left might not be able to inflict too much damage to your career, however if you’re someone like conservative actor James Woods, (a solid seasoned performer), your career might take a hit. But that dpoesn’ stop them to be real American patriots and deliver deadly punches to the liberal hypocrisy! 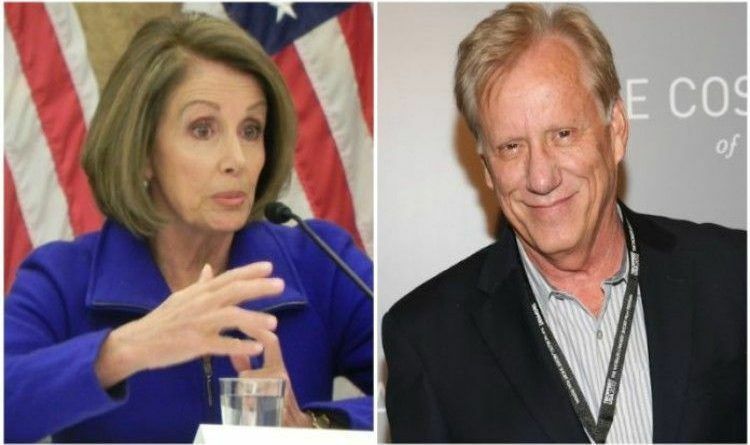 Actor James Woods delivered a blistering response to Nany Pelosi tweet about gun control! Pelosi had something ignorant to say about the horrifying shootings in Las Vegas, but she didn’t count on actor James Woods coming in and blindsiding her ignorance for everyone to see. Let’s be clear: there is a difference between the NRA & gun owners. Many gun owners want common sense efforts to #EndGunViolence. Woods cut right to the chase here. Instead of Pelosi and most on the left’s apparent fascination with guns themselves as if guns randomly just start firing, Woods pointed out to Pelosi that America has a very serious problem with violent and murderous Democrats shooting people. You could call it an inconvenient truth. The rest of Twitter also educated Pelosi! Except that we already do know much of what is in the Senate’s health care bill, as it is incredibly similar to the bill passed out of the House not too long ago! But she is still ignorant and will never accept what real Americans think of her and her party! Do you agree with James Woods? Scroll down to leave a comment below!